Hey everyone, today I have a very interesting post for you all. Todays post is sponsored by Colorsport. 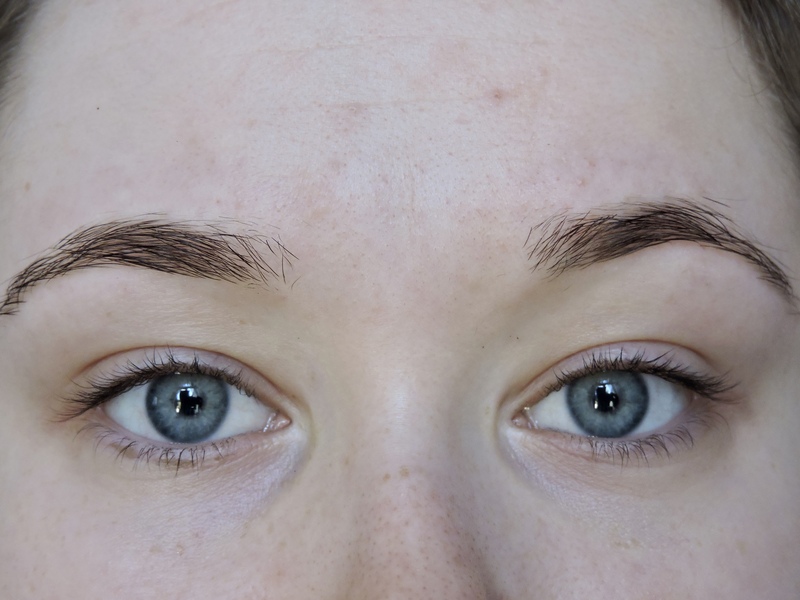 as they very kindly sent me* their 30 day brow tint, and their 30 day mascara. I have seen these products before, so when they asked if they could send me some, I was delighted. 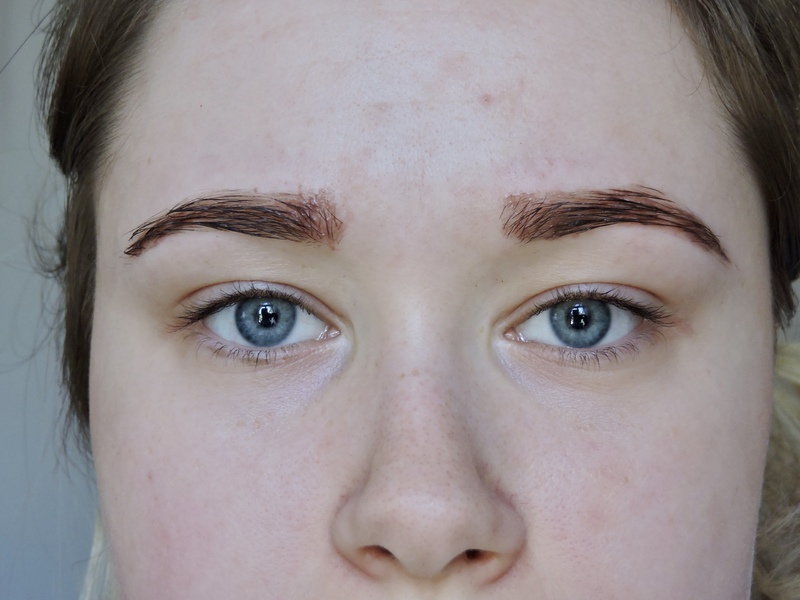 I am such a big fan of eye brow dyes, I think using them really makes your brows stand out and I much prefer my brows when they are dyed compared to when they aren’t. However, I have never used a lash dye before, therefore, I was very excited to use it! Be prepared for a naked rough face without makeup, I look pretty scary 🙂 but I wanted to be as honest as I could. Therefore, it was better it do it without makeup. I want to go through each step so I can tell you all what worked for me and what didn’t. 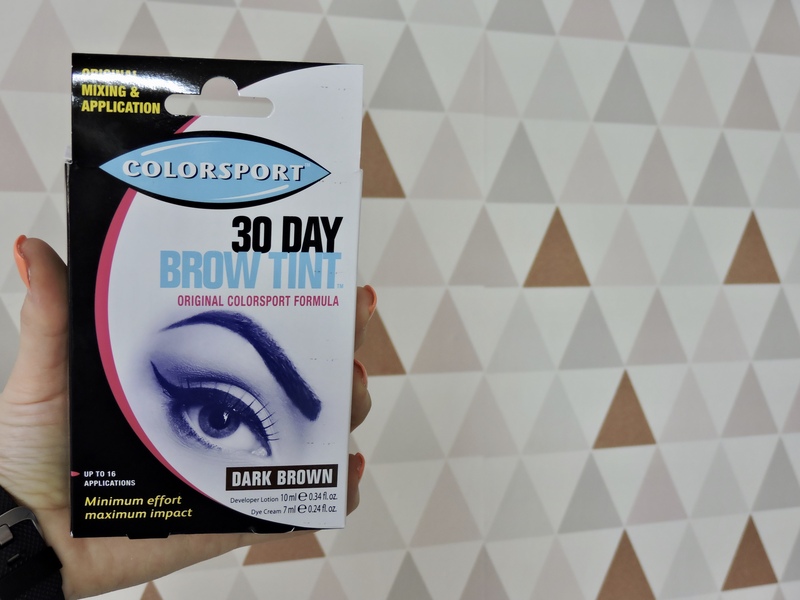 The 30 Day Brow Tint retails for £8.25 and you can pick this up from your local Boots store. You can get this in the shades Black and Dark Brown. The 30 Day Mascara also retails for £8.25 and you can pick it up from your local Boots store too. You can get this in the shades Dark Brown and Black. Let’s discuss the packaging first. I quite liked the packaging of the box because I like how it is simple but also very eye-catching. From looking at both boxes you can see exactly what the product is for, for example.. on the mascara one you can tell straight away that the product is a mascara from the image. I also like the pink and the blue used for the different products, it changes things up bit and they look like a pair which is pleasing. When you pull out the product inside, it comes in a little plastic tray and it has everything inside. I like how simple this is, because if you have never used anything like this before then it shouldn’t be hard for you. This mascara IS suitable for men to wear also. – I think this step is so necessary, in order to make sure that there is nothing already on your lashes that could interrupt this process. 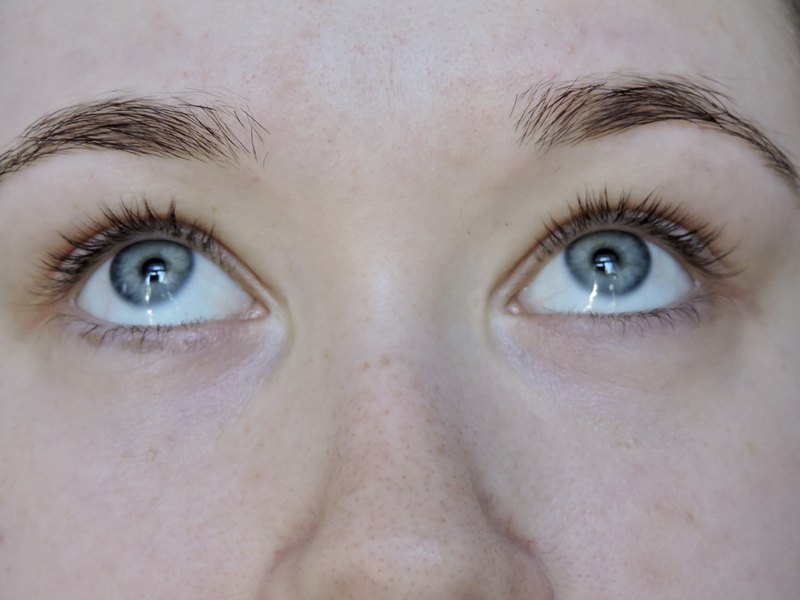 Apply a small amount of petroleum jelly under the eyes in order to keep the eye protection papers in place and to keep the dye off of the skin. 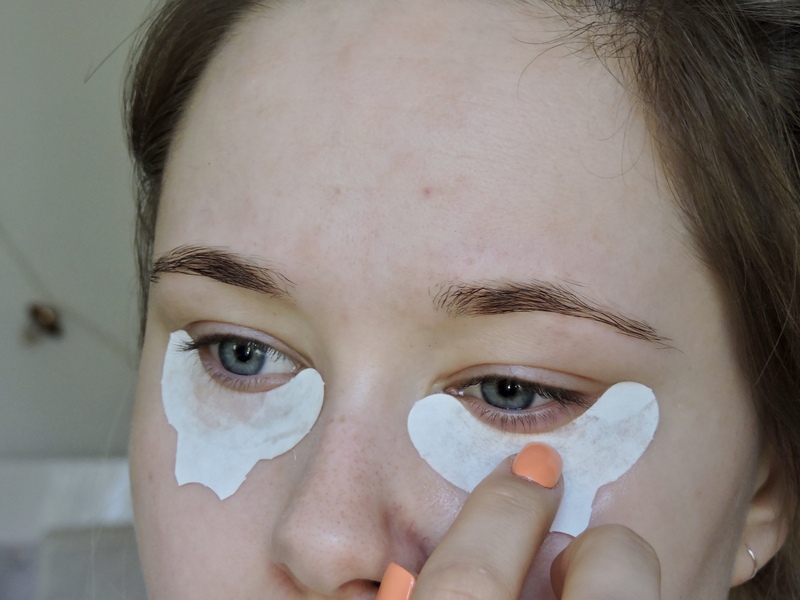 – After putting on this paper protectors, they were very uncomfortable to wear and if you look in the picture directly above you can see that on my left eye, the protector has come away from my under eye. I found that this happened a lot so I just ended up taking off this paper protectors because they kept falling off and felt pointless. They were too big for my eyes and didn’t suit my eye shape at all. 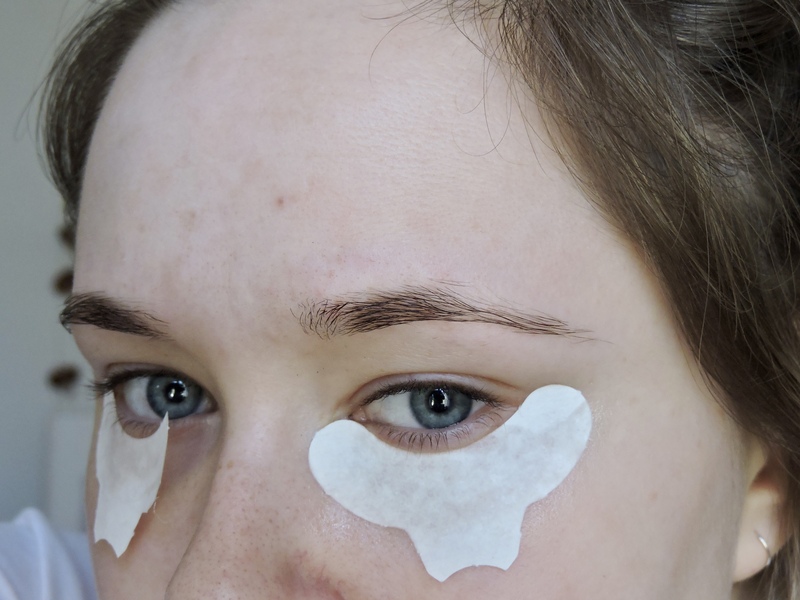 However, I like that they are in there so you can protect your under eyes. 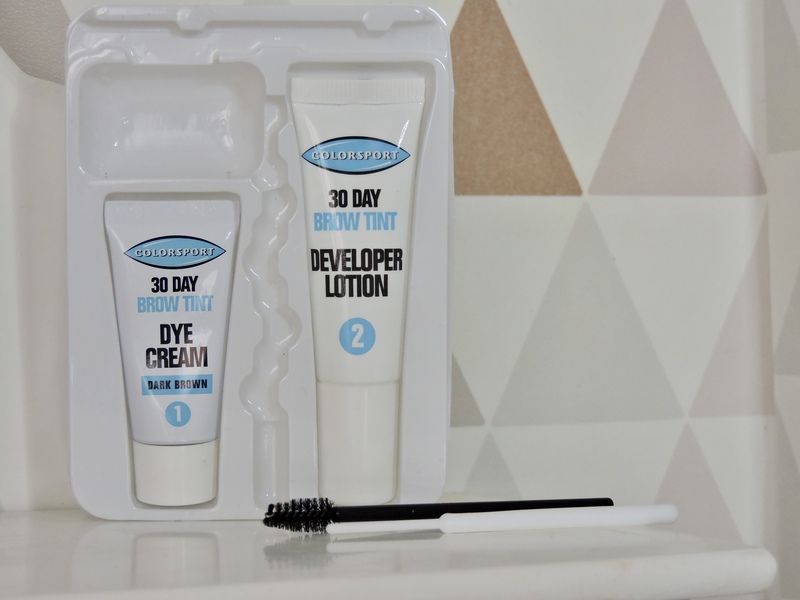 – I really liked that they supplied you with cotton buds, all you literally need is the kit and you don’t have to supply anything else towards it. I left mine on for two minutes. 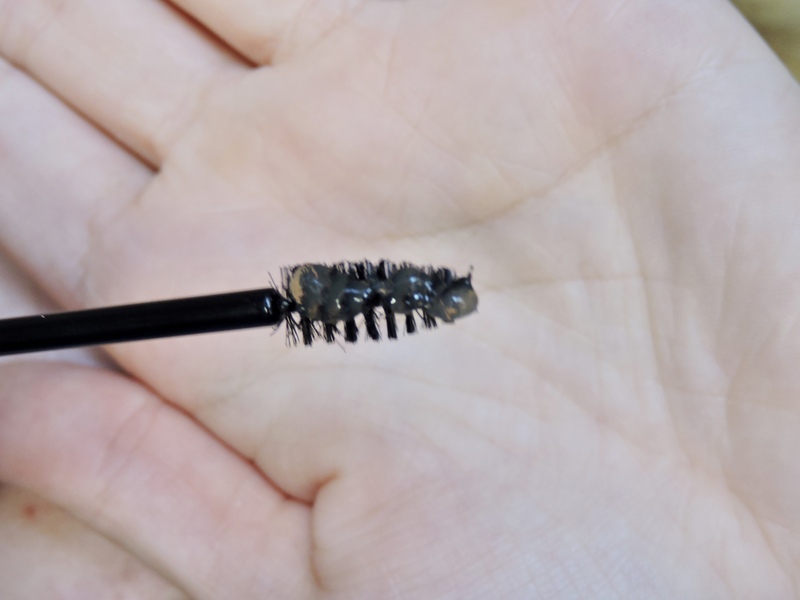 This is what my lashes looked like after doing the third step. 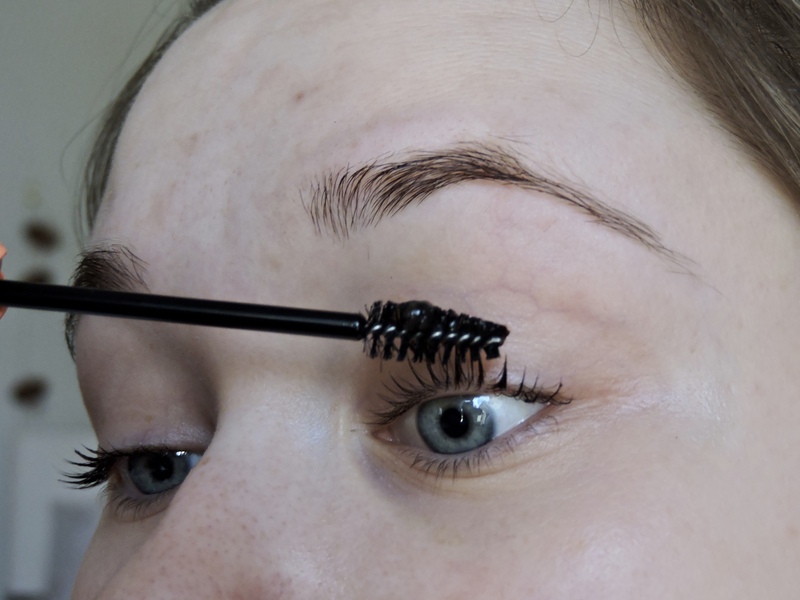 Apply 1cm of Eyelash Colour Gel 2 onto the eyelash brush and work it through the lashes. 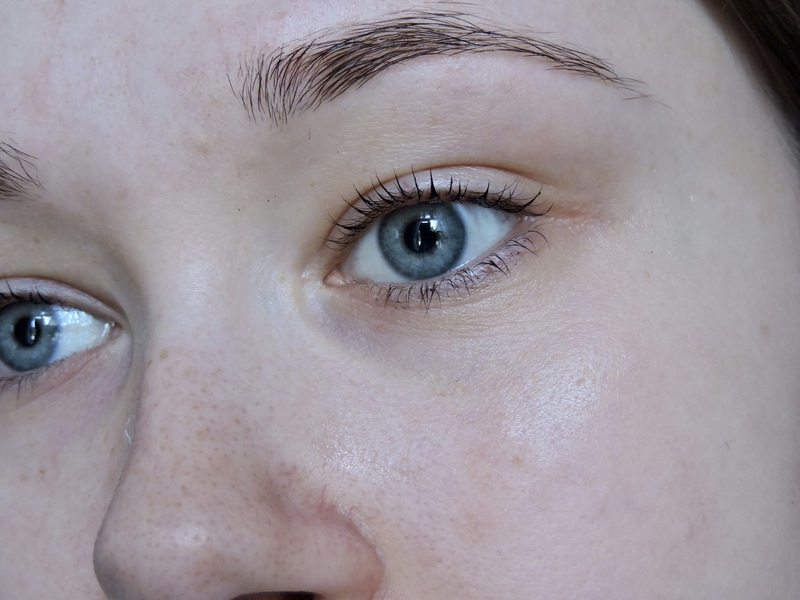 – As you can see from the picture above, I got some of the dye on my under eye. This is why the paper protection pieces are good to use because of stuff like this happening. This dye stayed under my eyes for about 5 -7 days. 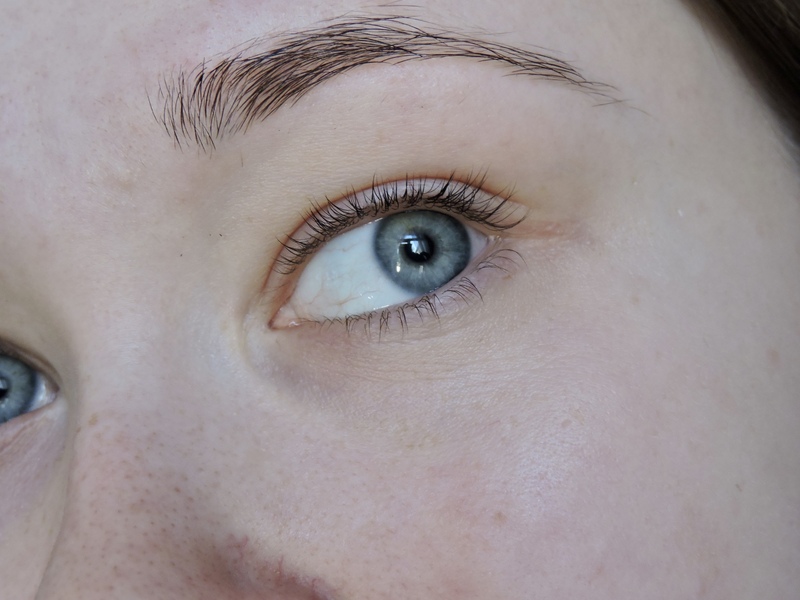 – I did get dye on my skin, however when I put the clean cotton bud into Eyelash colour 1, this did not remove it. That is why I had the stain under my eye for a couple of days. Regarding the instructions, I think that they are very simple and easy to follow which I think is good. 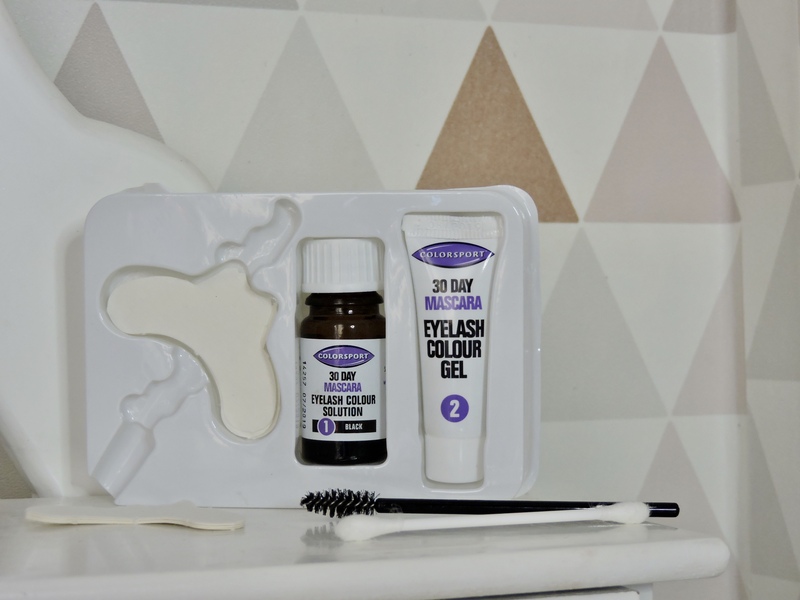 For someone who has never used an eyelash dye before, I didn’t find it hard at all and the kit in general was very easy to use. 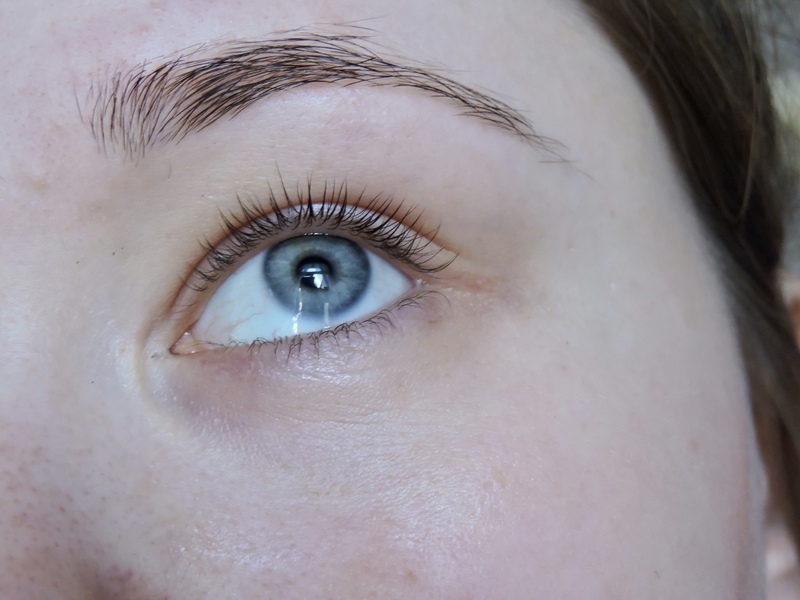 The eye lash dye is very natural and I would say more for people who just want a tiny little tint to their lashes, or even if they don’t like to wear mascara. I think this mascara would be perfect for people who have blonde lashes. I was expecting a little bit more for the product, I did think it was going to be darker. You can see from the last pictures that it has worked, but it is very natural. I would price this product at around £4.99 if I am honest, because it does work but I don’t think it should be beyond the £8 mark. I like how quick it is to use, it literally takes around 5-10 minutes to do and I really like that you don’t have to leave it on for long at all. The eye protectors didn’t work for me at all, they just kept falling off of my eyes. It would have been much better if they have different sizes instead of them all being the same size, and people with different eye shapes might struggle with these too. I love that woman and men are both allowed to use it, I think that is really good. 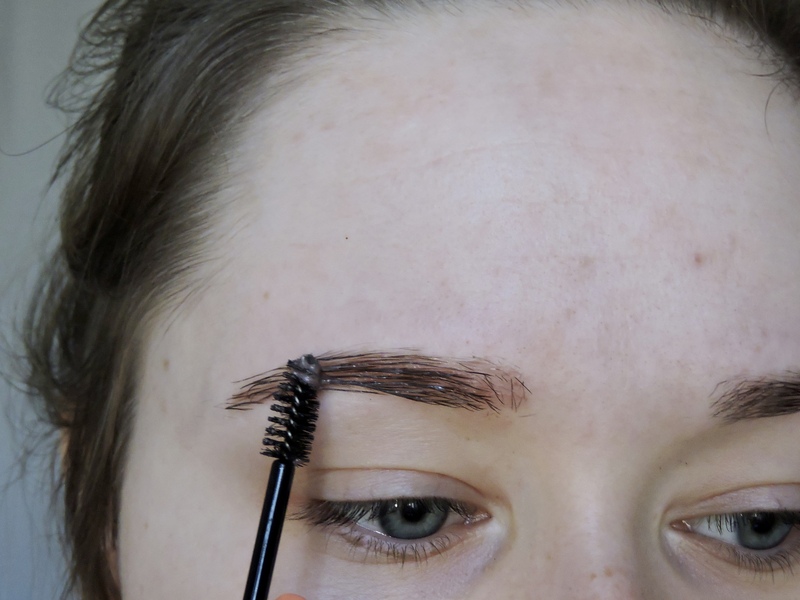 This brow tint IS suitable for men to wear also. – Very important once again, so nothing interferes with this process. I made sure I had nothing on my brows. 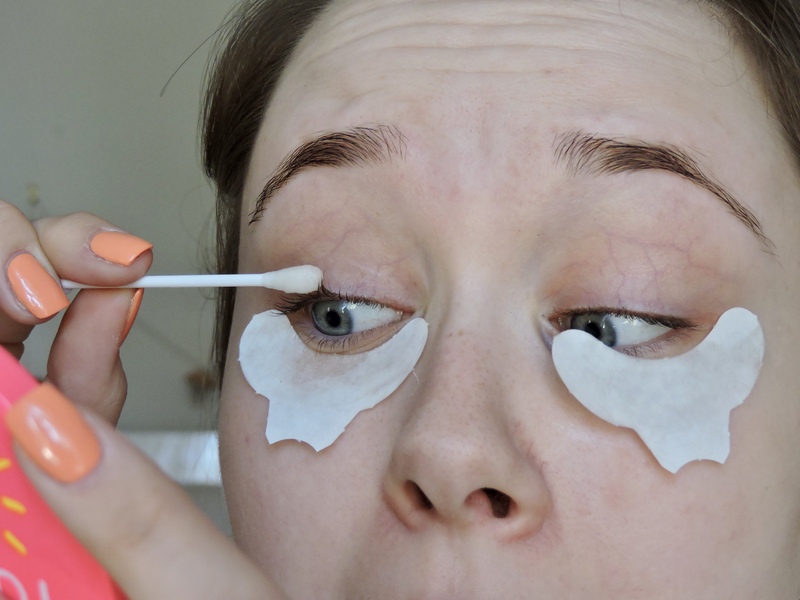 Prepare one eye at a time by using a cotton bud to place petroleum around the eyebrows so no dye gets on the skin. Pierce the nozzle of the dye cream tube with the opposite side of the cap.squeeze 1cm of Dye Cream into the mixing bowl and add 10 small drops of the Developer Lotion and mix together. – I liked the little mixing tool that it came with, this made it very easy to mix the two together. However, the developer was more like a cream therefore, you can’t really drop the contents inside as it is not a a running liquid. It has more of a cream consistency, therefore, I just had to guess what 10 drops would be. 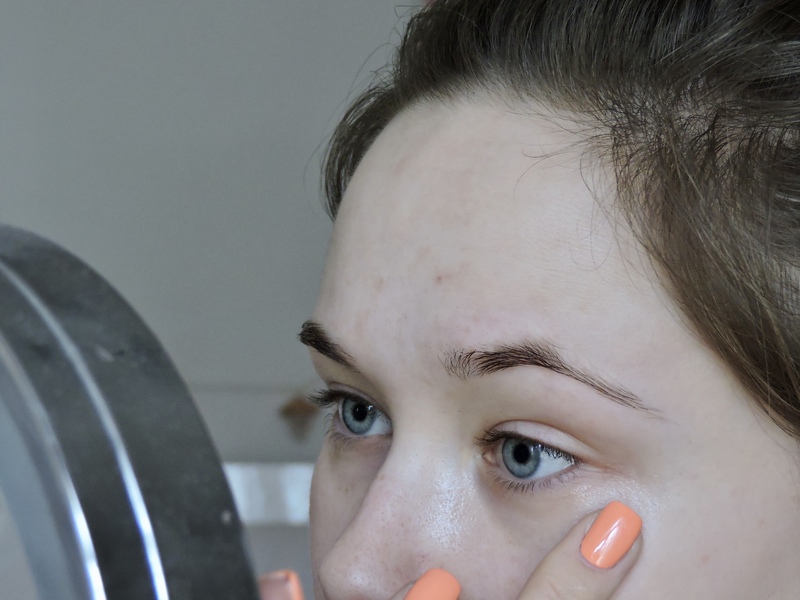 Apply the mixture to the eyebrows using the wand or the brush and leave on for 1-2 minutes. – I used the brush when I did mine. 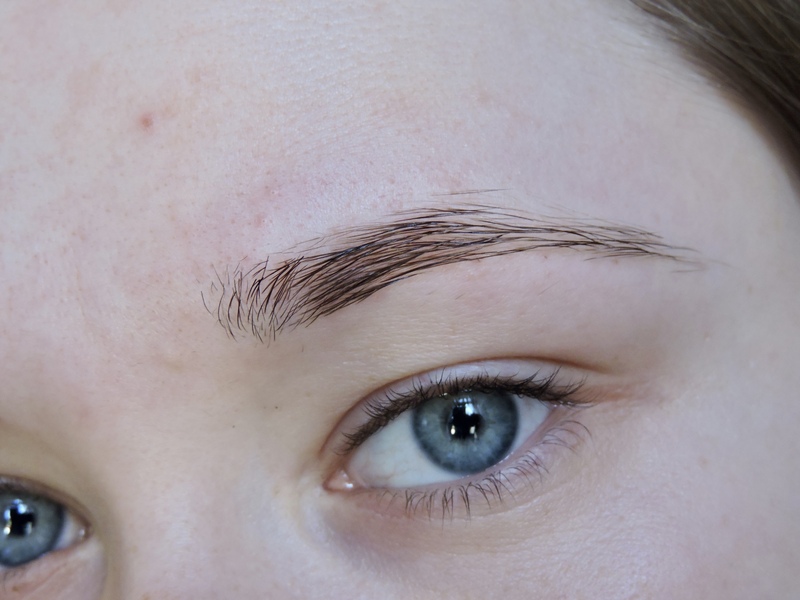 This is what my eyebrows looked like with the dying mixture on. 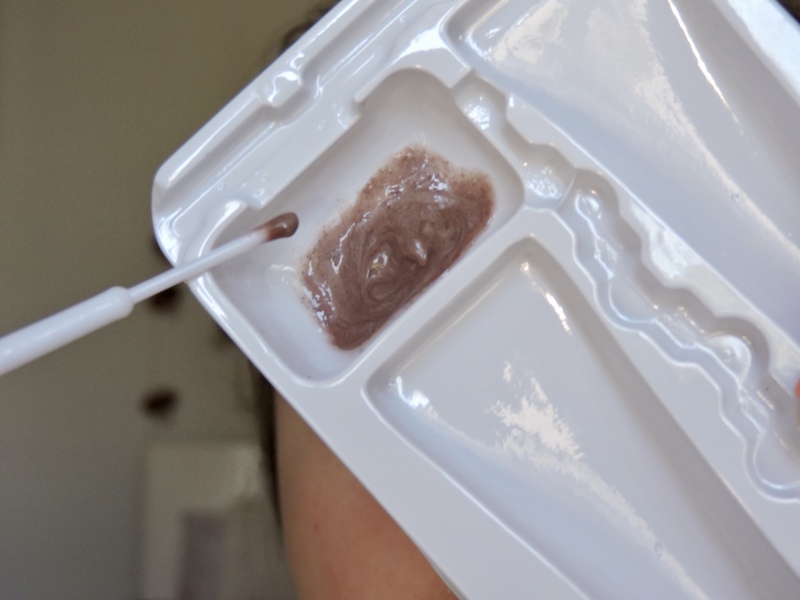 Use a wet cotton pad and wipe away the mixture. Once again, the instructions to use were very simple and easy to follow. It was not hard at all and if you have never done this sort of thing before then you won’t have a problem. 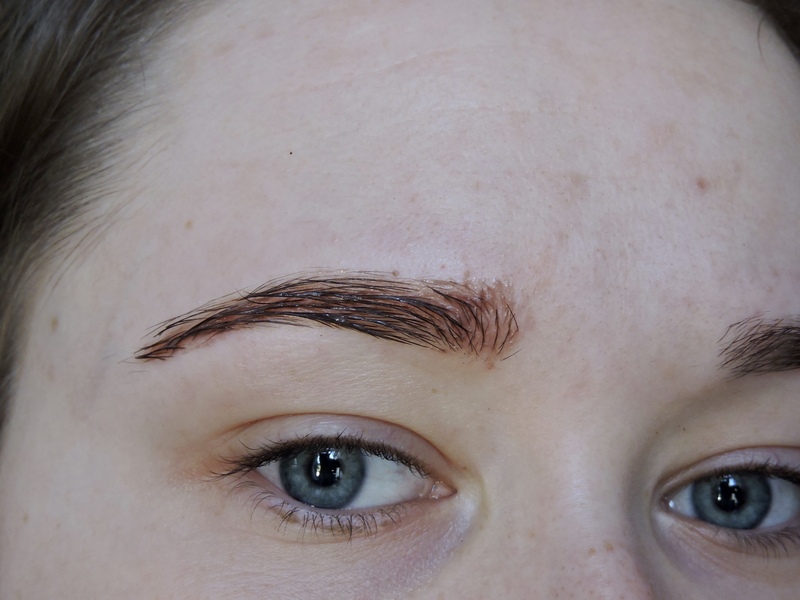 I always dye my eyebrows, I know how I like them to look after and how to normally use the dye kits. I did expect more from this eyebrow dye as I was really excited to try it and I thought there would be more colour pay off. Maybe I should give it another go and leave it on for 5 minutes instead. 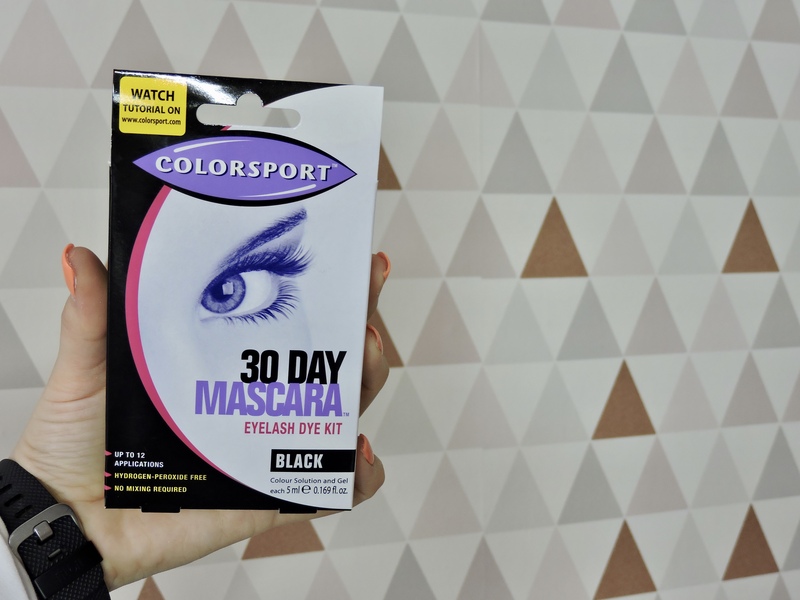 I did think my brows would have more colour to them, but this product is also for those who like their brows to look natural. 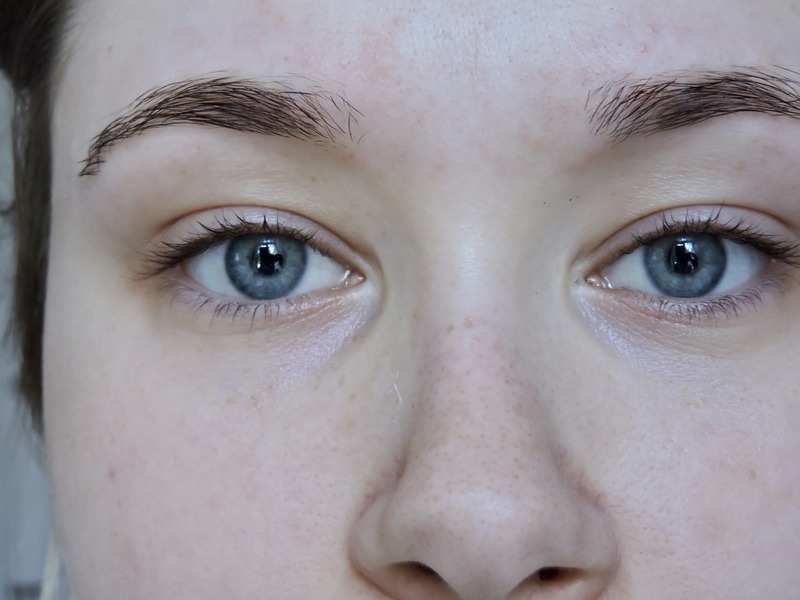 You can see a slight difference, it is just very natural. 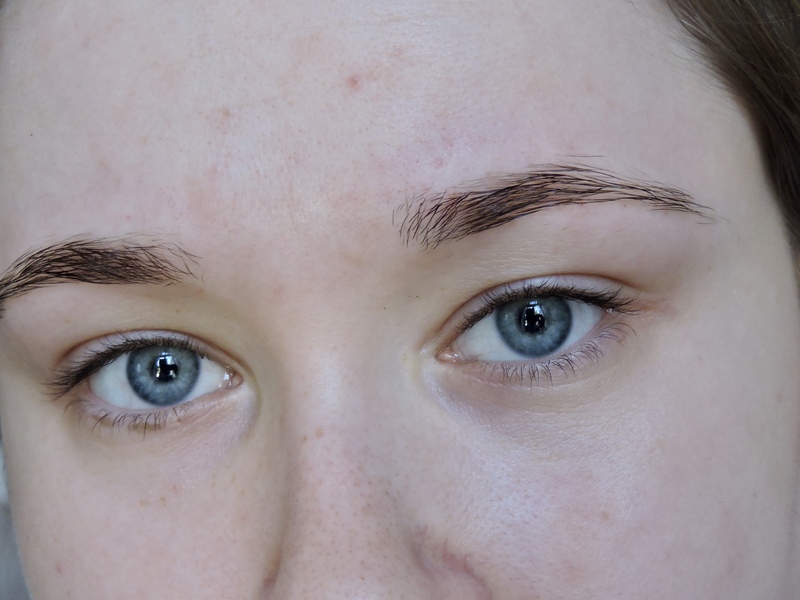 I normally like my brows to look darker than this, but if you are someone who likes natural then this is for you. 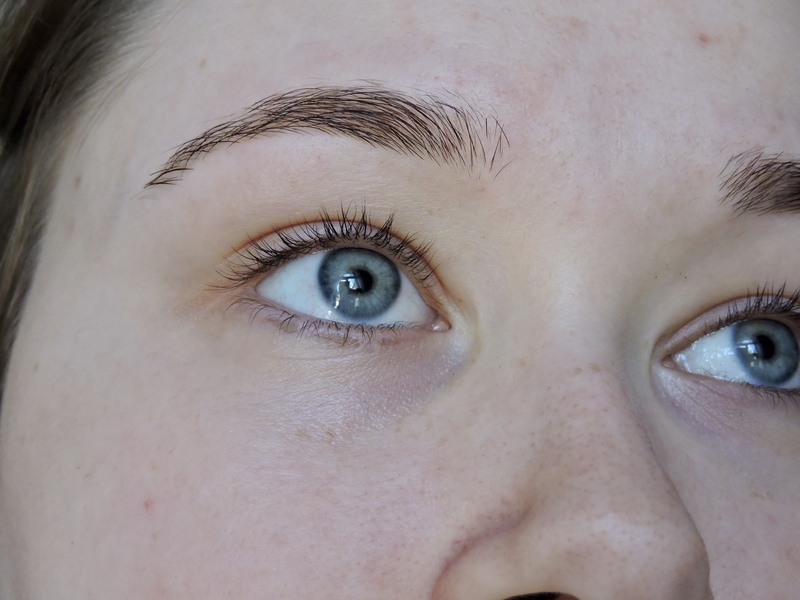 I definitely preferred the lash dye to the eyebrow dye as I noticed more of a difference with the lash dye. 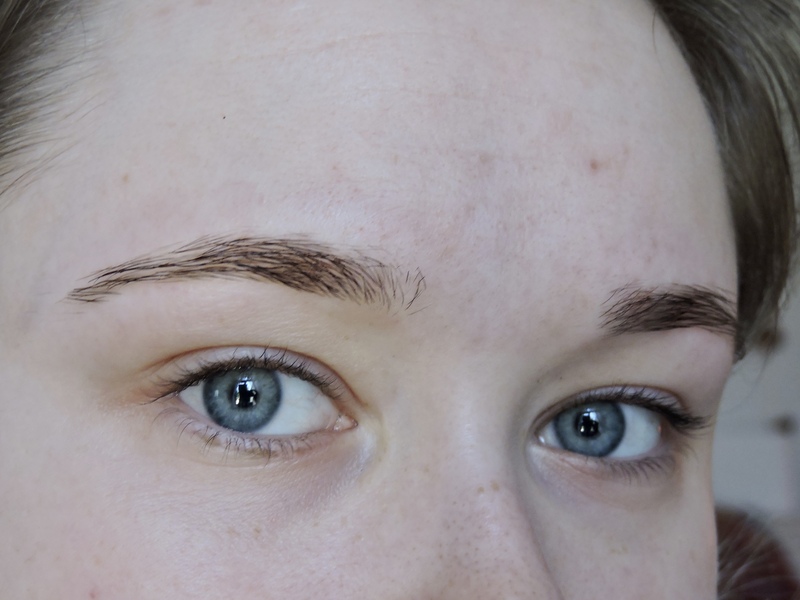 However, I preferred the application process of the brow tint. On their website they have tutorials for how to use both of the products mentioned in this post and I think that is amazing. I really like how they want you to be safe when using this products. I would love to try this myself! 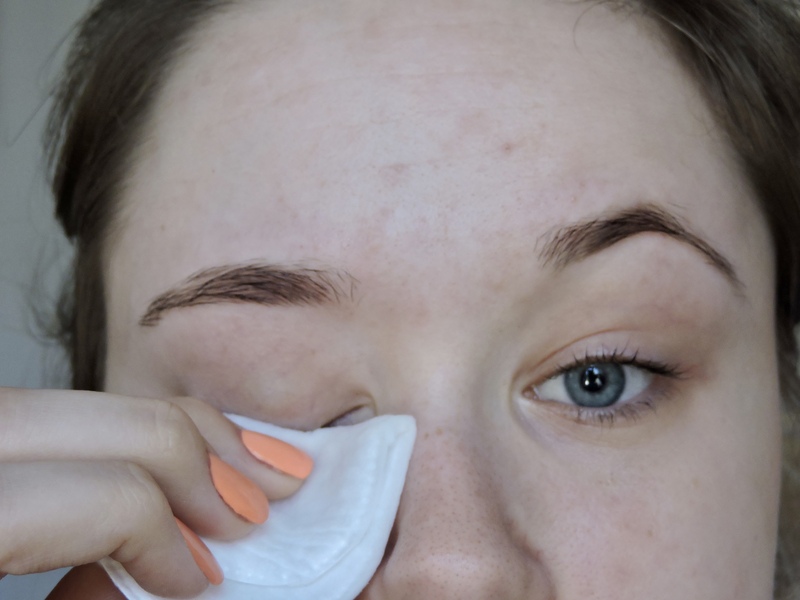 I’ve never tinted my lashes or brows before. 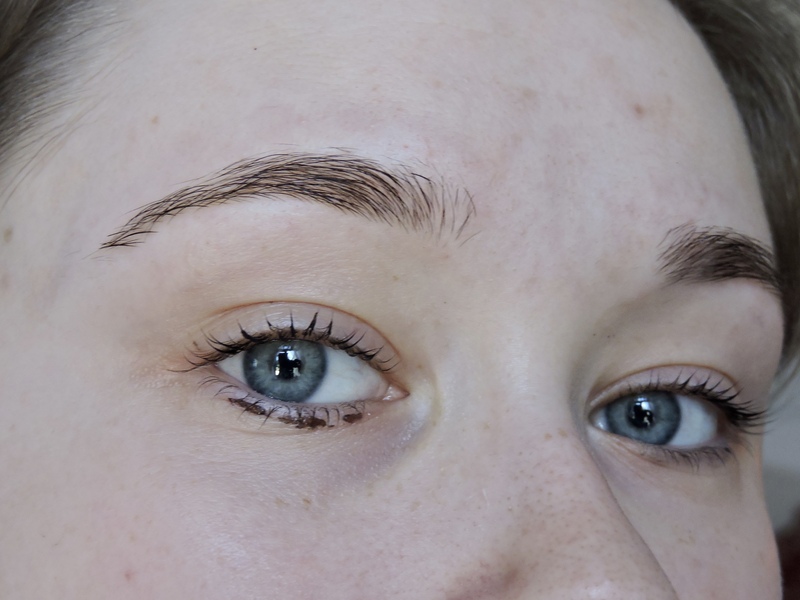 I couldn’t get on with the lash kit but I thought the brow kit worked wonders on my very fair eyebrows. I love how you did a photographic step by step guide as well!